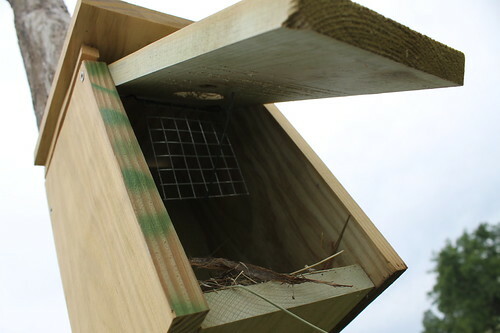 With all the birdhouses we’ve been building and installing around the farm, there have been precious few desirable birds trying to nest in them. We quickly found out that we had a big problem. A sparrow problem. As I mentioned before, the European House Sparrow is a nasty little invasive species that likes to crowd out and even attack and kill our beneficial native species. 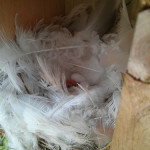 Every nest box we put up was quickly claimed by a male sparrow, and they quickly commenced stuffing the boxes full of their messy nest materials. Every time we tore a sparrow nest out, they would build another one within 24 hours. 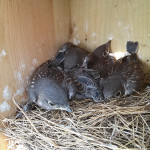 They were even nesting in the nooks and crannies of the new pole-barn. What really pushed me over the edge is seeing the constant flow of sparrows in-and-out of the Eggmobile. They were having quite a feast with the 30lb hanging feeder that the layers eat from. 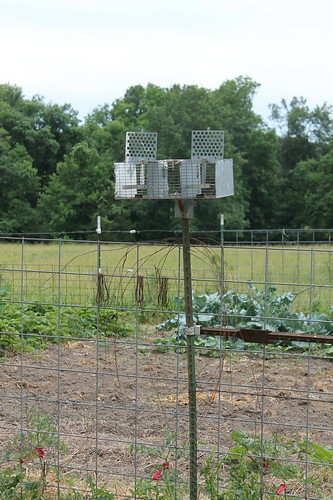 I’m no fan of Sparrows, and I’m sure not paying to have them eat the chicken feed. This all started the Great Sparrow War of 2012. During the opening skirmishes the sparrows nested in every box they could find, and we tore out every nest we could find. We were outnumbered and were being outflanked at every turn. We decided to starve them out. 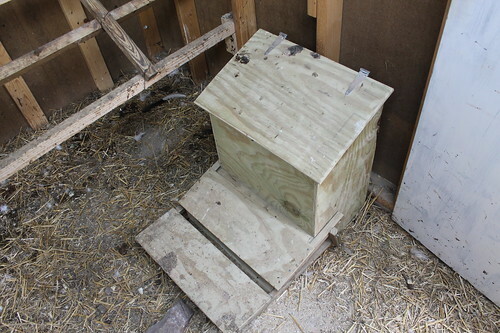 We took away the chickens 30lb hanging feeder, and replaced it with this treadle feeder. It’s totally closed off to any sparrows, rodents or other vermin. It takes about 2lbs of force on the treadle to lift the lid and expose all those yummy layer pellets. We thought we had dealt the sparrows a major blow, but the little buggers seemed unfazed. It was time for phase two. Trapping. 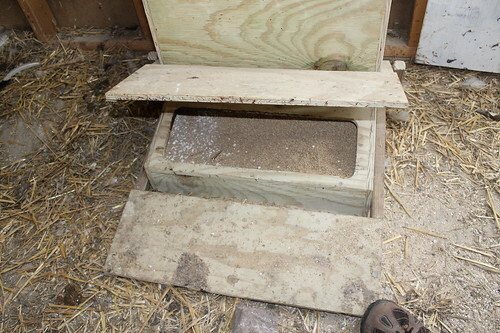 First up is the old trusty bait trap. 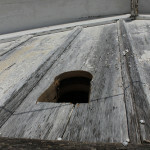 Then the newly constructed DRST-type repeating trap. 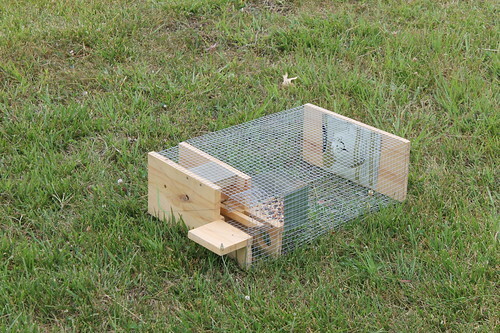 And for those pesky sparrows who just can’t take a hint, there is the in-box trap. 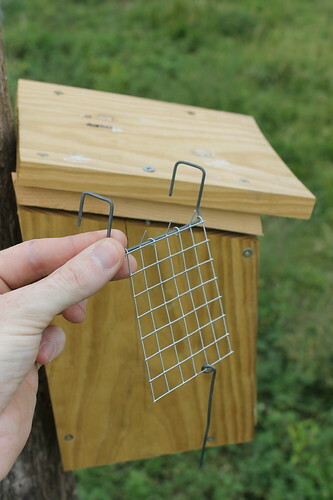 Installed like so it should trap any sparrow stupid enough to try to reclaim a nest after being evicted. 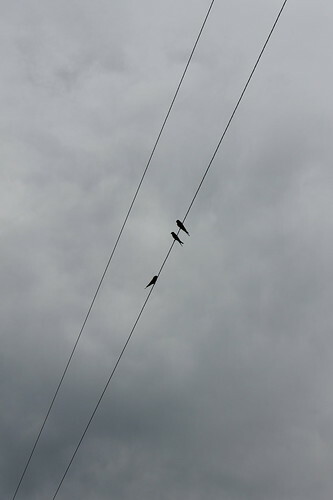 One must be careful with these though, as you could easily catch a swallow or bluebird who’s looking for a home too. 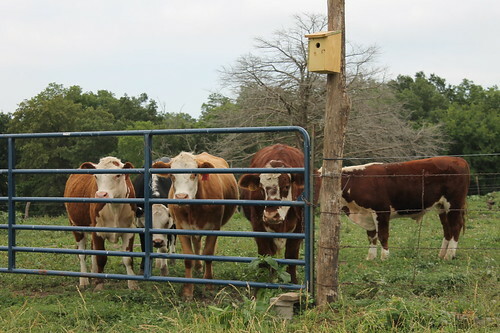 The calves are keenly interested in the installation of an in-box trap. That or they think it’s dinner time. So at current count we’ve eliminated around two dozen sparrows. There are more out there, of course, but the desirable native species have come back in a big way. 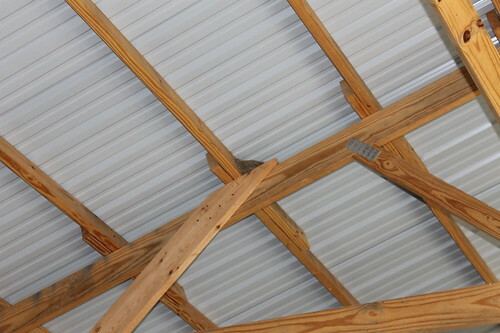 There are 3 barn swallow nests in the new pole barn. The farm is just filthy with bluebirds these days (adults and juvenilles). 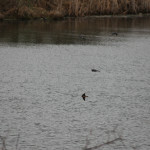 And we’re even starting to see tree swallows out in the pastures. 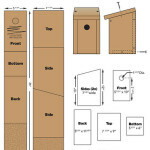 One box (the furthest one from the house) even has a tree swallow nesting in it! Sumthin’ been eatin my chickens!